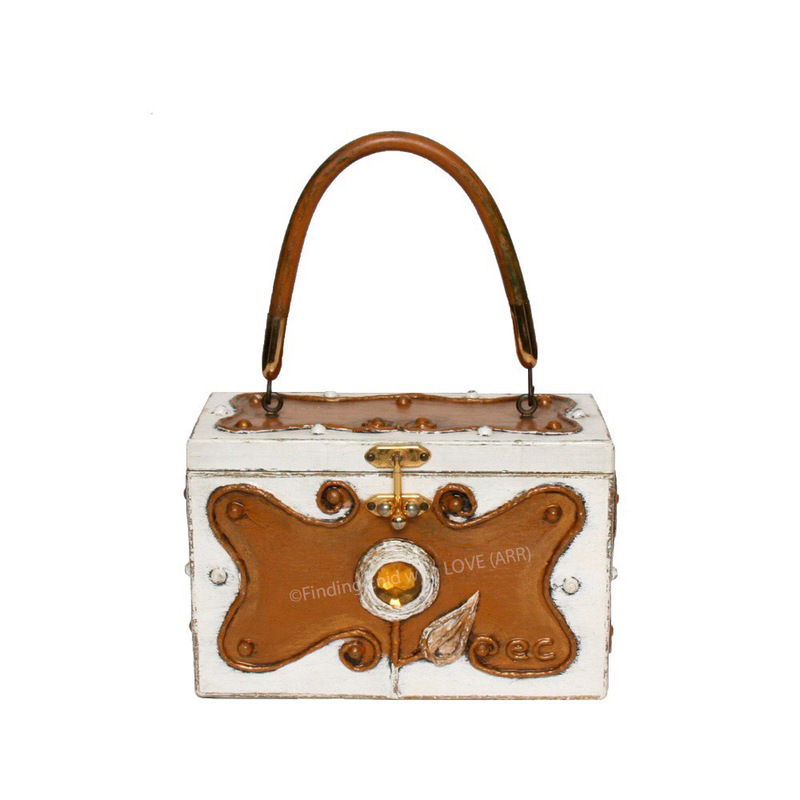 Box purse of solid wood decorated on four sides and top with papier mâché curlicues, then painted in antiqued white and metallic copper with rubbing of metallic gold on edges. Embellished with a stylized circular papier mâché flower in antiqued white with a large faux-amber stone in its center. Small, round metallic embellishments. Vinyl handle is antiqued brown.